Well, we ‘kept calm and carried on’ this year and went on our annual London trip. 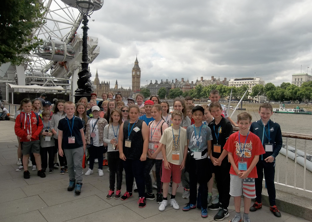 We arranged a ‘jam-packed’ itinerary that ensured the children would experience as much as we could pack in within two days! 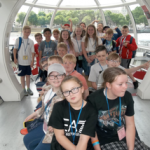 We took a ‘flight’ on the London Eye, attended the 4D cinema extravaganzas, entered the ‘Shrek experience’ where they got ‘up close and personal’ with the world of Shrek, stayed in the Copthorne four star hotel in Slough no less, ate in ‘Pizza Express’, ‘entered the world of a Wimpy kid’, then we went to Legoland; which was AWESOME!!! We arrived home happy, tired and late on the Friday night! The children behaved really well and we were extremely pleased to arrive back safe and sound. We received so many compliments from members of the public about the children’s’ exemplary behaviour. Here’s to next year! !